In my last blog post, I shared why imaginative play is so important in child development. Now here are some specific ideas that you can do to spur your child’s imagination based on his age. Create a print-rich environment with objects to manipulate, touch, observe and interact with, that are age-appropriate, including pots, pans, socks, beads, playdough, and musical instruments. Don’t use Playdough or beads until your child is old enough, since both can be choking hazards. Now your child can play with little purses that are old and ready to be cast away, old hats, old shoes, plastic cups and dishes, paper, arts and crafts, clay, dolls, doctor’s kits, toy cars, and blocks and beads. If asked to join in, you can turn play into an adventure: the couch becomes a raft, the kitchen floor is your island, and so on. Imaginative play becomes more sophisticated, and children are into playing house, school, and other fantasies using dress-up costumes, including tiaras and magic wands, and sheets for super-hero capes, tents and forts. 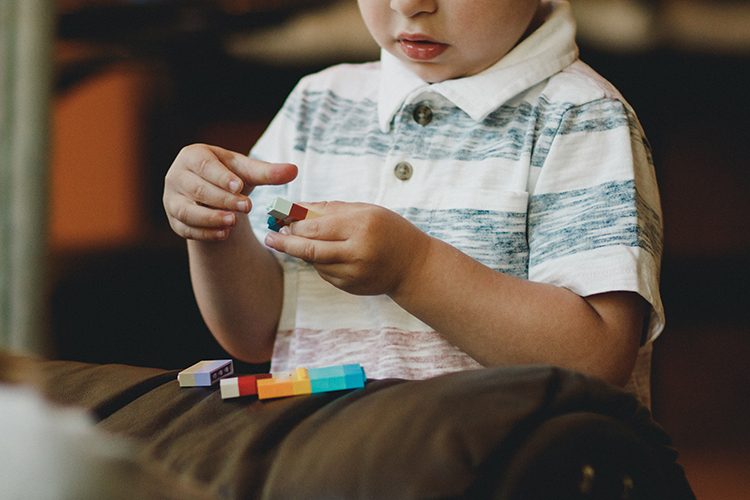 Legos, blocks, clay, cars, paints, crayons and other school supplies are useful tools. Also provide your child with arts and crafts materials that allow him to color his dreams and write his stories, bringing his imagination into his conscious world. You will be creative until the day you die, whether it’s simply daydreaming, or writing, painting, listening to music… all of the inventions that have brought us to this place and time are as a result of someone’s imagination, so it is important to give your child a safe place to foster the associations in the brain that allow for the development of inspiration, the stimulation necessary for problem-solving, and the “a-ha moment,” when complicated ideas take form.